Some of the impressive landscape on the Oa in the south of Islay. 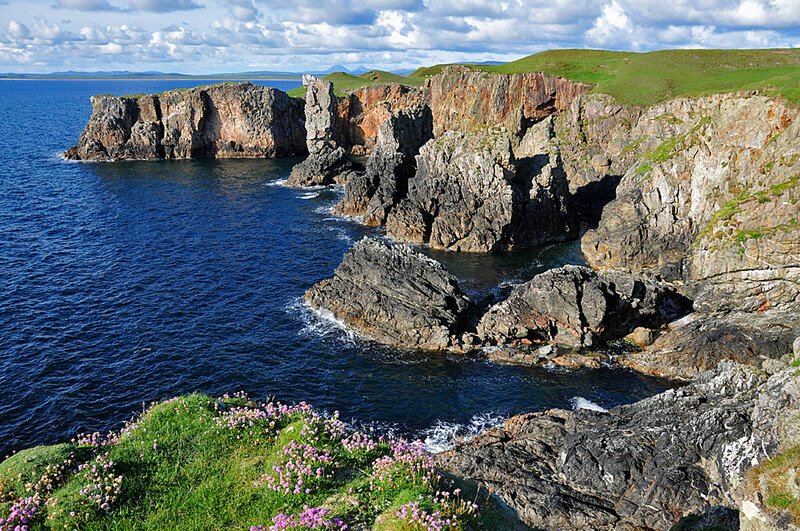 This are the cliffs around Soldier’s Rock, Islay best known sea stack. Soldier’s Rock itself is just left of centre, below the Paps of Jura which you can also spot in the far distance. This entry was posted in Cloudy Weather, Landscape, Repost, Sunny Weather and tagged Islay, Paps of Jura, Soldier's Rock, The Oa by Armin Grewe. Bookmark the permalink.